The man who led the abuse inquiry into Jimmy Savile and others has admitted police "got some things wrong". 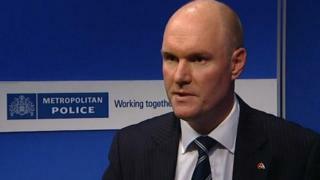 Peter Spindler, a retired Metropolitan Police commander, said Operation Yewtree was set up too late. Some detectives working on the inquiry "didn't have the knowledge and skills" needed, he told a debate, organised by the children's charity, NSPCC. The debate was on whether historical sexual abuse investigations had descended into "media witch-hunts". Operation Yewtree was set up in 2012 to examine alleged sexual abuse by Savile, and subsequently dealt with sexual assault cases involving other celebrities including Rolf Harris, Gary Glitter, Max Clifford and Dave Lee Travis. Mr Spindler said: "We have learnt a lot in this type of investigation. We have got some things wrong. "One of the things we didn't get right was we completely underestimated what was going to happen. "We didn't have sufficient resources in place. We didn't have the knowledge and the skills amongst our more general detectives. "We have been investigating non-recent abuse for years ... this was something different. We needed to create a major inquiry team. We didn't get it set up early enough. "We completely underestimated the swing in the public mood at the time and the coverage this was going to get. I have no doubt we got the coverage because it involved celebrities and it involved the BBC." He also said police investigators had "benefited" when the media named suspects, because it had encouraged other victims to come forward, but he denied this showed the police were guilty of "double standards", having refused to make the names public themselves. Operation Hydrant, set up by the National Police Chiefs' Council, was overseeing 262 child sexual abuse investigations, and had the names of more than 2,000 suspects and 670 institutions where abuse was said to have happened, he said. "These people can't all be making it up, they haven't all got it wrong," Mr Spindler said. He added that 30,000 victims who had yet to report abuse were expected to come forward to the Goddard inquiry - the independent investigation into child sexual abuse. But he had concerns about young people's understanding of a "healthy sexual relationship". "The images that teenage boys view on their phones and handheld devices are miles away from the sorts of things we would have chuckled over as young boys," he added. The third strand concentrates on accusations unconnected to the Savile investigations but which emerged as a result of the publicity surrounding Savile.